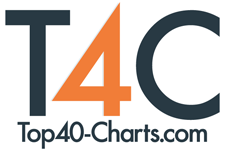 New York, NY (Top40 Charts) Do 4 Self & TSO's own, Lil Nizzy, teamed up with YFN Lucci for his new leading single, Blockstar, off his upcoming project - The Chemist. This track, produced by Will Hansford, is an energetic summer anthem with a hard-hitting trap beat, that paints a vivid picture of Nizzy & Lucci's life on the "block". Lil Nizzy is a young Philly native rapper who hones an upbeat sound and unique sense of story-telling through his raw lyrics. The Chemist is set to release July 4th 2018 on all digital platforms. Nasir "Lil Nizzy Strawz" Tallington is a Hip-Hop coinsurer and recording artist by way of South Philly. At a young age, Nizzy was introduced to hip-hop by his father, which he quickly became inspired by. As Nizzy grew older he swiftly began to embark on creating music on his own, learning how to mix and record, which developed an even stronger passion for the music industry. In 2015, Nizzy debuted his lyrical presence with his album Threw The Interior. With this project, audiences were shocked by his lyricism and ability to paint vividly raw pictures with his storytelling. Kicking his career into overdrive, Nizzy began knocking out project after project, completing music videos, promotional visuals, artwork, social media grandstanding and five mixtapes in 2016 alone. Naturally, Nizzy's hard work did not go unnoticed, eventually catching the attention of many key players in the music industry. Philadelphia famed rapper, Meek Mill, took a personal interest in Nizzy which led him to become a mentor for him in the industry. Now at 19, Nizzy holds an impressive performance resume, including a Philly Power House performance amongst numerous concert events with acts such as - Lee Mazin, Desiigner, and PNB Rock. One of the most pivotal moments in Nizzy's career was when Meek Mill personally invited him to open for the Meek Mill and Friends Tour, penned the largest Hip Hop concert of the year, with other heavy hitters Rick Ross and G-Herbo. Just 24-and he will continue to prove to the industry why he's the next hot artist. hours prior to Nizzy's breakout performance he suffered a tragic loss of his best friend, Saddi, who lost his life to gun violence. Nizzy credits Saddi for helping him to get through that important night and yields it as inspiration for his career moving forward. Dirty Machine Releases Official Music Video For "Further From You"